The most popular BBOS device in the month of May was the Curve 9320. This data was collected by BlackBerry World for downloads of the free BlackBerry strategy game Pixelated. 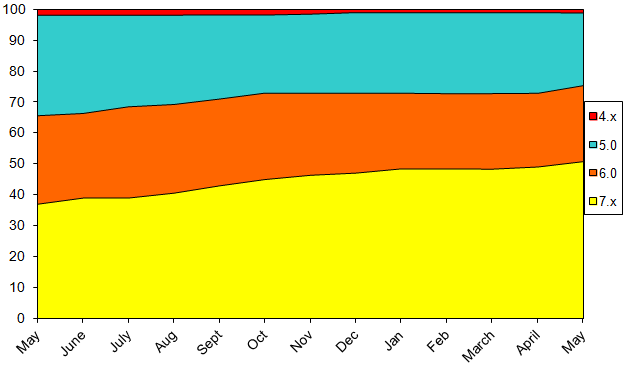 Data shown on the chart is from the beginning of May 2013 through the end of May 2014, and does not include BlackBerry 10 or PlayBook devices.